I'm a contemporary romance writer with a passion for creating unique characters and love stories. I am also a major foodie. Cookies are my weakness, but I will gladly eat anything sweet. I currently live in New York. I like to think of myself as an easygoing, optimistic person who is learning new things every day. 2. I read on your website that you move around quite a bit. If you could choose any city/country to live where would that be and why? I'd want to live in Tokyo because I've been there before and it seems like such a busy, lively city with so much to explore. 3. Who are your favorite romantic couple and why? Edward VIII and Wallis Simpson. I like couples who have unique and timeless relationships. 4. What is the most romantic thing that ever happened to you? 5. Could you describe a typical day for you? There is no such thing as a typical day, but on most days, I write for about 5-6 hours and try to squeeze in some reading time, too. 6. Do you have a favorite classic love story? 8. Do you have any advice for aspiring writers? Love whatever you're writing and don't compare yourself to other writers. Try to make friends in the writing community so you can help each other become better. I like doing ZUMBA workouts, meditation and spending time with my family. The final book in the NYC Singles series, Love Me Like You Do, is coming out in November (fingers crossed.) I'm also working on a standalone New Adult romance that'll be released sometime next year. Kat is living a good life. She has a nice job as a staff writer at the New York Times and she loves to write about politics. Because of her job Kat works crazy hours. One night she is at the subway alone and a man tries to attack her. Luckily for Kat Alex enters the station and is able to rescue her. Alex is one of the candidates running for mayor of New York and the whole event is being filmed and posted on the internet. Because of Alex's political career damage control has to be done. Kat finds herself next to Alex doing numerous interviews. During this time they can't help but grow closer together. Alex wasn't looking for any extra publicity or love, but he had to save Kat from being hurt. Alex is hiding a big secret of his own. One he doesn't want anybody to find out. When Kat is being asked for a once-in-a-lifetime job she has to choose between Alex and her political believes. Kat is a loyal employee and she is very good at what she does. I enjoyed reading about her believes and her decision-making process. Kat is a big believer of the fact that honesty is best policy. Because of that Kat will do whatever it takes to always tell the truth to her readers. She is an incredibly strong woman who isn't afraid to show her emotions. She has a great personality and I liked her a lot. Alex went through hell when he was just a young boy. He's done a good job covering up his younger years and has fought hard to be where he is now. He desperately wants to keep things that way. Alex only had one serious relationship in his life. He wanted to marry this woman, but she left him. He finds it difficult to confide in Kat and to be truthful about his feelings for her. He saved her and is a true hero. He overcame his past and made a better life for himself. Alex still has issues to work through though and I loved watching his character evolve throughout the story. In My Arms Tonight is an emotional read that grabbed me from the start. Kat and Alex both warmed my heart in their own way. Sasha Clinton surprised me with some of the twist and turns in her story and they made me fly through the pages. I love it when a book makes me feel many different things at the same time and really enjoyed In My Arms Tonight because of this. I always want to read stories about journalists! This sounds like a really good story. This book looks quite interesting-- and what a captivating cover! I love the author's advice for aspiring authors-- it's definitely something to keep in mind, and something that could apply to individuals in other professions as well. Thank you for the lovely review, and for introducing me to this book! Great interview. I like your advice. Book sounds good and great cover. Lust and politics? Sounds great. I enjoyed reading your review. Wanted to read this, thanks for the review! I love the sound of this plot, thanks for reviewing it! 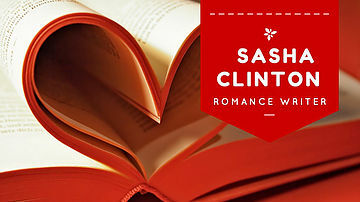 I've never read a a romance with one charcter in politics. It could be a unique read for me.